Pattern:You can choose our own patterns, or provide pictures for our custom. Size:Default is Women US7-9,Men US8-12 or US9-13.It can be customized according to customer requirements. Package:Default OPP Plastic Packaging,if you need box or other package,please contact with me. Sample:If you need sample,please tell us what color you want,if you want to provide pictures for custom,please pay for sample fee,it will cost $100 per color,but we will refund the sample fee after you order these socks. Custom Quantity: Thank you for your love of our shop, there are many customers contact with us for custom socks, but, please note: The most important point, our order quantity is 2000 pairs of each color! ! why? Because the socks are woven from yarn, we have to cobble together yarns of different colors that require a lot of costs. The yarns are hung on the machine and we start spinning,we can\'t just make a pair! ! Unless your colors are particularly beautiful, we can sell the colors that you want to customize as our styles in the store, and we will consider properly reducing the minimum order quantity. Otherwise, custom socks must have 2000 pairs every color! Please read it clearly! If you have a lot of money,you want to custom socks for just one pair,please remember ,one sample is $100 per pair! 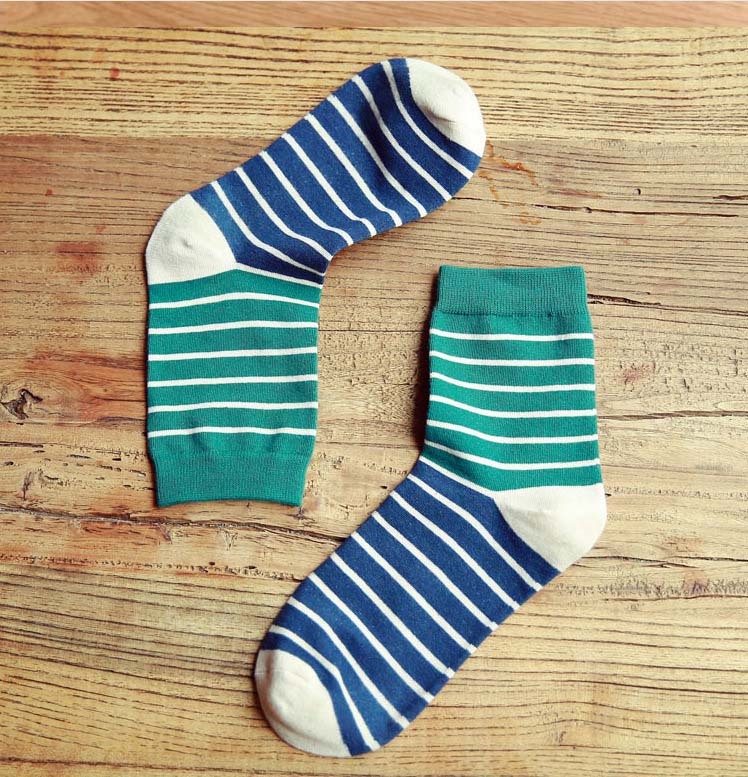 Production time:Design socks may take 15Days,it is based on the factory order schedule. Please contact me before order, and make the order we discuss the price. Attention please! We are international seller of China mainland. PLEASE, BE PATIENT! We usually offer standard international air mail can make about 10 to 25 working days for delivery. But if your total amount exceeds $ 299, we promise that we will send the goods to you by EMS,DHL,or FEDEX IE. If you have any question or any special request, please contact with us. We will reply you in 24 hours due to the difference of time between us. NOTE: The Buyer will be responsible for taxes, customs and any other charges during shipping! All items must be sent to the verified address aliexpress. If you are not satisfied with the item for any reason, unless because of quality reason,otherwise the custom socks can not be returned in the original condition within one week after receipt.If quality reason,please contact with customer service and send the socks back, We will send you the full refund together with shipping cost as soon as we receive the item. But the buyer is supposed to pay for the return shipping. Yes, we can combine orders so that you only have to pay once. Please contact us before you pay if you need that service. Can you ship for my customer? If we do. just need the pictures and the samples. Our Factory is located in Yiyang, Hunan, it has already hundred years old.LIONZONE is a fashion sock brand of the factory. Currently, Adhering to the business philosophy of "customer first, move forward" and the principle of "customer first", we offer our customers quality services. Superior Quality and Reasonable Pricing are our main advantages, making our products more competitive in the international market.